17:21 – Selections from our Sunday Morning Worship Service at The Unitarian Universalist Congregation at Montclair by Rev. Dr. Justin S. Osterman. 27:54 – Selections from our Sunday Morning Worship Service at The Unitarian Universalist Congregation at Montclair by Rev. Dr. Justin S. Osterman. 27:08 – Selections from our Sunday Morning Worship Service at The Unitarian Universalist Congregation at Montclair by Rev. Dr. Justin S. Osterman. 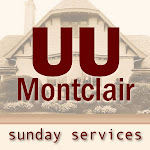 27:08– Selections from our Sunday Morning Worship Service at The Unitarian Universalist Congregation at Montclair by Rev. Dr. Justin S. Osterman. From “I Have a Dream,” by Dr Martin Luther King, Jr.